Sunderland City Council (SCC) and South Tyneside Council (STC) are currently undertaking a Habitat Regulations Assessment (HRA) in support of each of their respective emerging Local Plans. This is to assess the implications of each Local Plan and its policies upon Natura 2000 sites so that the Local Plan can be modified if necessary and subsequently adopted subject to any necessary restrictions or conditions. The overarching aim is to ensure the overall coherence of the Natura 2000 network is protected within the Plan areas. Three Natura 2000 sites are located within the respective boundaries administered by each authority. These are the Northumbria Coast Special Protection Area (SPA) and Ramsar site, and the Durham Coast Special Area of Conservation (SAC). 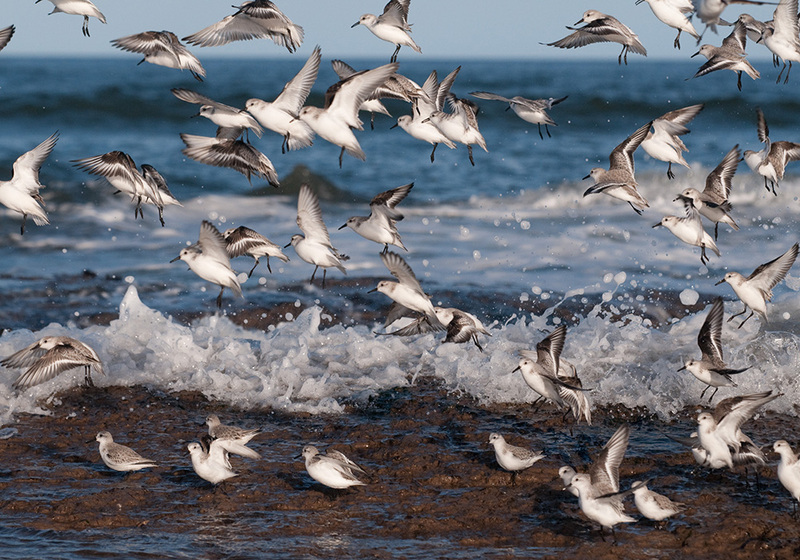 Consultation and assessment completed by each Local Authority during the local plan process has highlighted that potentially adverse impacts upon species cited within the Northumbria Coast SPA/Ramsar site could occur as a result of new development. To form the evidence base for the HRA process, targeted ornithological studies were commissioned. The aim of these studies was to map the distribution of qualifying species and identify areas that may be subject or potentially subject to disturbance (albeit all other waterfowl species were also recorded and mapped). An initial wintering bird survey was completed in 2014/15. 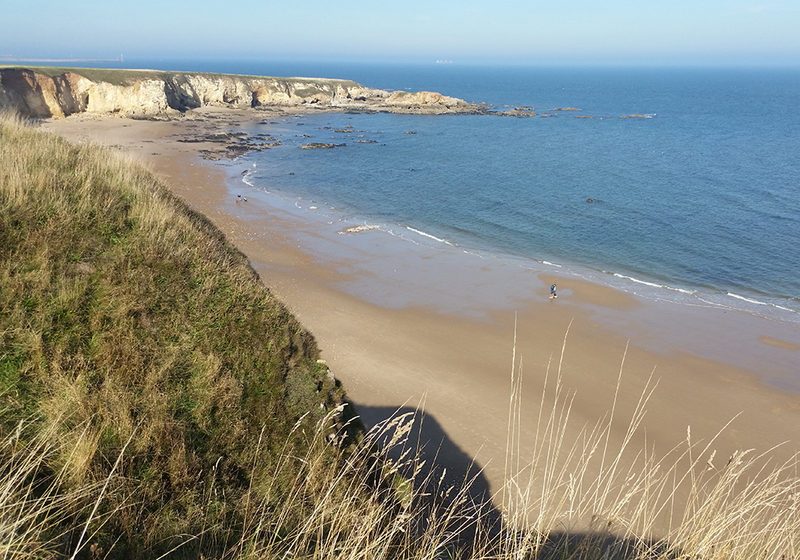 This covered approximately 20 km of coast between South Shields and Seaham Harbour. This zone was sub-divided into several survey areas and sectors. The work involved bi-monthly visits to each survey area, and included both high and low tide surveys. Separate surveys were also undertaken, which recorded any incidence of either potential or actual disturbance events experienced by the target species. 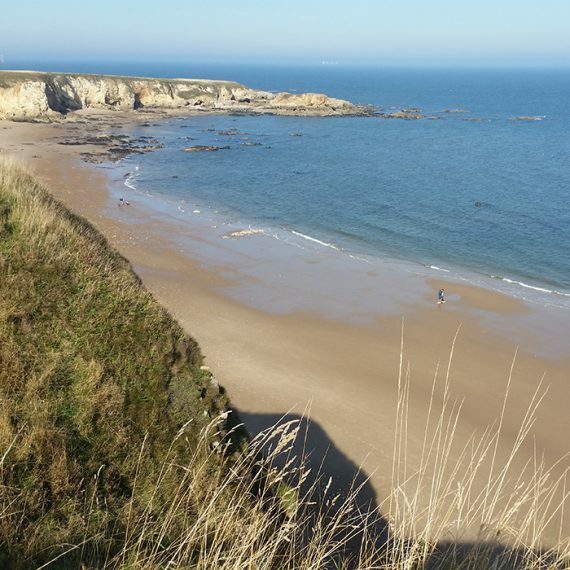 The initial year of survey identified a number of areas of particular importance to birds within the SPA, and areas immediately adjacent, including a former military firing range at Whitburn. The survey also reported significant incidence of disturbance to the cited species in areas of high recreational activity. Parts of the River Wear corridor and several inland wetland sites, not covered by the work, were also identified as providing a potential functional link to the SPA. BSG Ecology was commissioned by SCC and STC to undertake a second year of winter bird survey work in winter 2015/16. 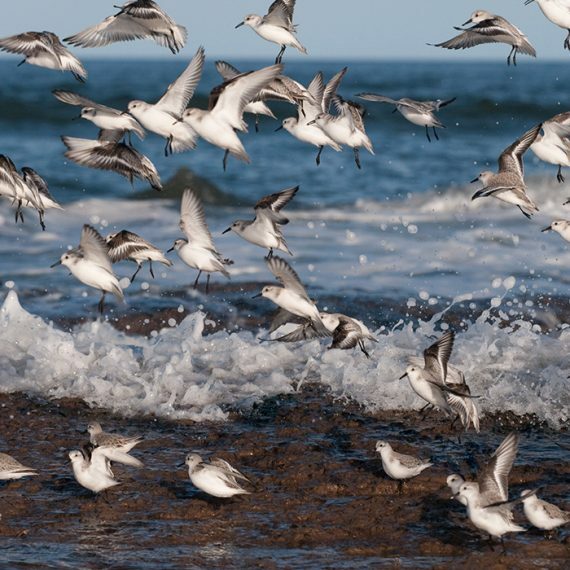 The purpose of the study was to allow a direct comparison between the two data sets, to highlight any changes in SPA qualifying species distribution, and consistent areas of importance for roosting and feeding activity for the cited wading species. The survey also sought to highlight the areas of greatest sensitivity to disturbance events. 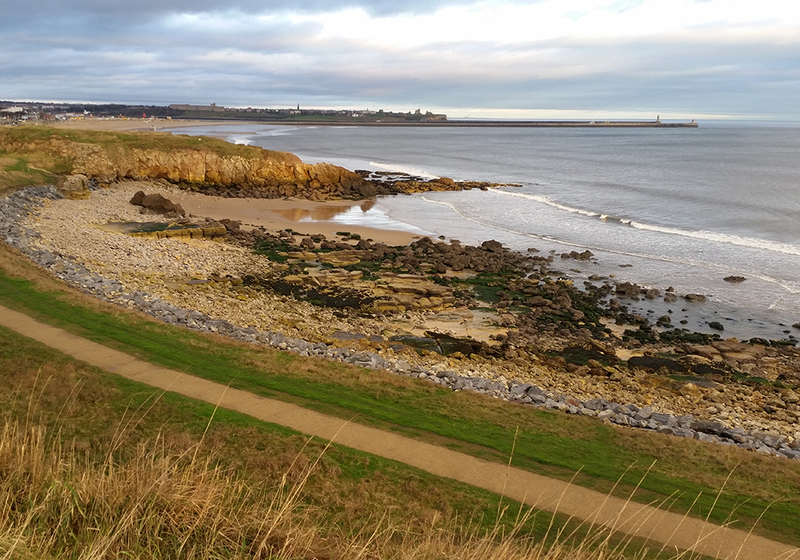 In addition to the coast between South Shields and Seaham, BSG Ecology also surveyed five inland sites, along with the estuarine sections of the River Wear. This was to establish if the perceived functional link to the SPA within these areas exists. The survey methods and approach was based on the work completed in 2014/15, with the five coastal survey areas, five inland sites and the River Wear surveyed simultaneously. Four simultaneous surveys were completed in each month; a low and high tide bird census survey, and a low and high tide disturbance survey. Each survey was completed over a six hour period, with separate surveyors undertaking the work in each area. Approximately one thousand hours of field survey work were completed in the collection of the dataset to provide a robust baseline upon which informed analysis could be taken. Throughout the survey period, BSG maintained a close working relationship with our clients and provided regular updates on progress to the ecology officers from the respective commissioning authorities. Following the completion of the field survey work, BSG Ecology undertook a detailed assessment of the data gathered. This highlighted a number of areas of commonality between the data collected in 2014/15 and in 2015/16. 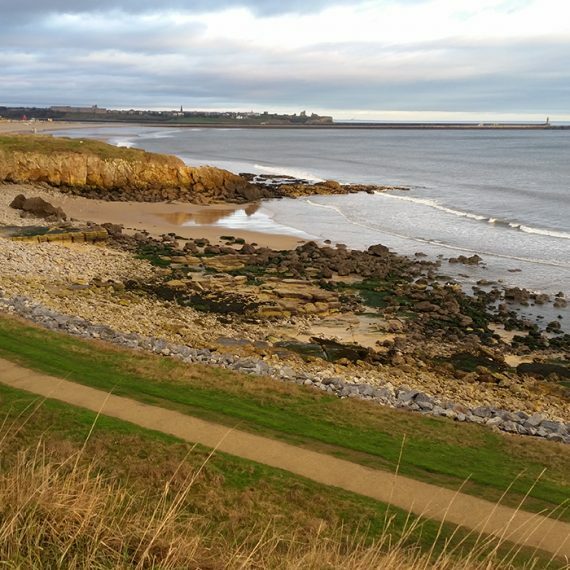 Areas such as the former firing range at Whitburn, in addition to harbours and areas of inaccessible rocky foreshore were found to be the most important areas for turnstone and purple sandpiper (the two species cited within the SPA classification for the their wintering populations) . Significant populations of other species such as golden plover were also recorded during the survey work. The peak count of approximately 2600 golden plover recorded at Whitburn equates to c.1.04% of the total UK wintering population for this species, therefore suggesting that the site supports a nationally important population for this species. Disturbance survey data indicated common trends in the frequency of disturbance events attributable to domestic dogs being exercised and recreational walking at the coast. Areas of interface habitat where sandy beach meets rocky foreshore were found to be particularly prone to this kind of disturbance. The data gathered have been provided to each local planning authority and will be used as part of the evidence base for the Habitats Regulations Assessment for each Local Plan.